One of the benefits that drive most people to seek relationships is the knowledge that one’s partner will support and protect them when necessary. A person does not go into a relationship assuming a partner will consciously seek to harm him/her and jeopardize their safety, but that is the daily reality of victims of domestic violence. Not knowing when and if an emotional or physical attack will take place robs the victim of the security and stability most people take for granted. Trying to get away from these toxic relationships is extremely difficult, as the abuser is likely to block attempts to leave and seek to punish the victim by inflicting more, and often severe, abuse. Often, domestic violence victims must engage in subterfuge to escape the abuse with the help of family and friends. Further, there are legal resources a person can use to keep the abuser away so the victim has an opportunity to re-establish his/her life. But, one area of the legal system that could offer more support to victims occurs in the courtroom. No accommodations are offered to domestic violence victims testifying against their abusers in court. Testifying is, by nature, a stressful experience, and a victim confronting someone who deliberately sought to hurt him/her may be terrified. Despite this issue, victims of domestic violence should still seek protective orders to protect themselves and their children from further abuse. 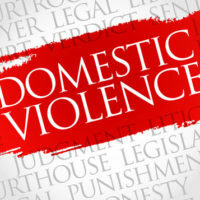 Evidence of domestic violence makes a big difference in divorce settlements, and protective orders make it easier to prove this abuse occurred. Any other act that causes harm. In addition, threats of violence towards children or family pets are also considered domestic violence incidents. Note that a person does not need to be currently living with the abuser to seek a protective order, but the law does require the parties lived together at some point. refer the victim to a domestic violence center. Protective orders are enforceable in every Florida county, and law enforcement has authorization to enforce the terms of a protective order by arresting the abuser if violation occurs. These orders remain in force until a date set by the court, but either party can request a modification or revocation at any time. Dealing with domestic violence is an overwhelming situation that should not be faced alone. Contact a family law attorney who can increase your chances of quickly getting a protective order to protect yourself and your family. 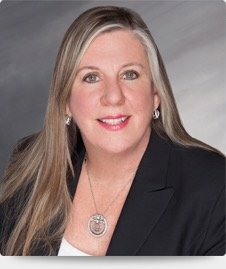 Family law attorney Joyce A. Julian, P.A. understands the devastating consequences of these situations, and will work to get you the protection you need. Contact the office for a free consultation.